Last week was my week off and I've had mixed fortunes on the charity shop find front, for a change after doing a wardrobe declutter, I've given away more than what I've bought! I'm really trying to buy items that I will use, love and keep long term, even if it means not buying quantities of stuff! 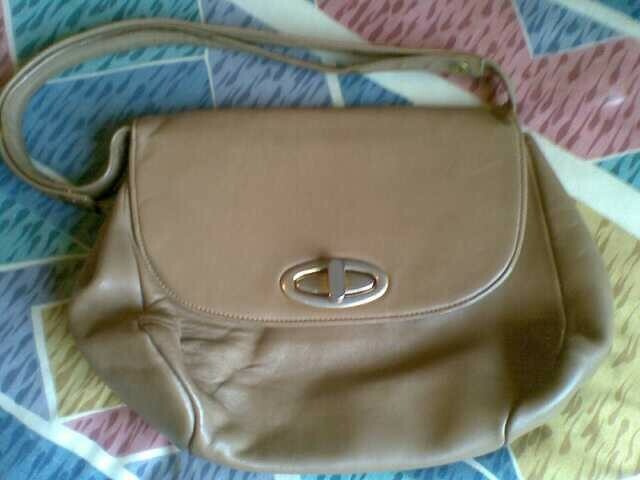 Well, my finds were this 60s camel leather handbag, made by a company called Maclaren in Norfolk, England. Its an ideal small bag to carry and will go with virtually any colour outfit. 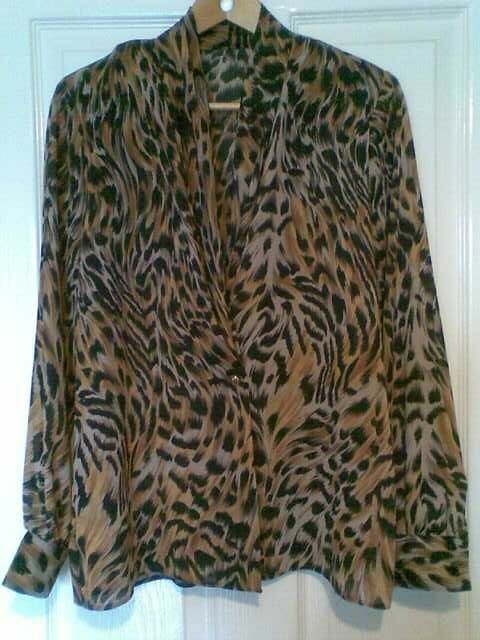 I also found this perfect leopardprint 80s St Michaels (Marks & Spencer) chiffon style blouse, which I'll wear either tucked in or loose as a jacket sort of style. This was from the St Francis Hospice. 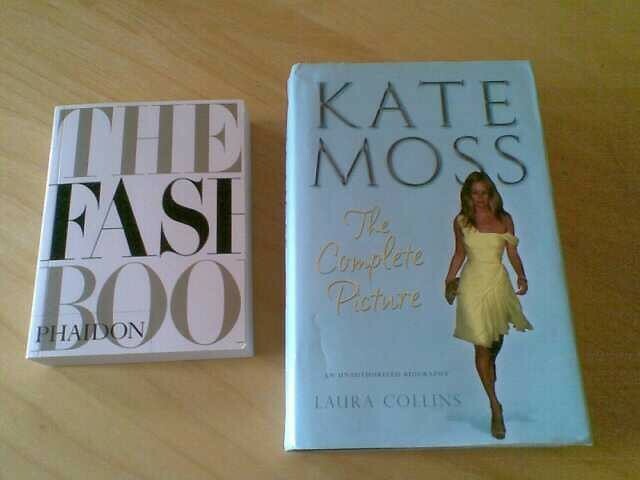 I found 'The Fashion Book' which was £1.80 and another Kate Moss book which was £2.75. The weekend has been very wet and cold, so I'm pleased to have some reading material handy!! Hope you all have a lovely Sunday, whatever you get upto!! The week went fast! It's a good idea to get rid of items that we don't wear or love anymore to make space for new ones to love and wear! Waiting to see you in the leopardprint 80s St Michaels chiffon blouse. Some good finds there, I can never resist a book, even though we're supposed to be cutting back on them and filling the kindle instead! Your week off always goes in a flash doesn't it? Never mind. I hope you enjoyed it even so. Nice finds! Really like the blouse. You will rock that. I need to declutter my wardrobe I just hate getting rid of stuff! I must have around three Ikea bags full of stuff to eBay! That needs to be my challenge for nex week. Great bargains. 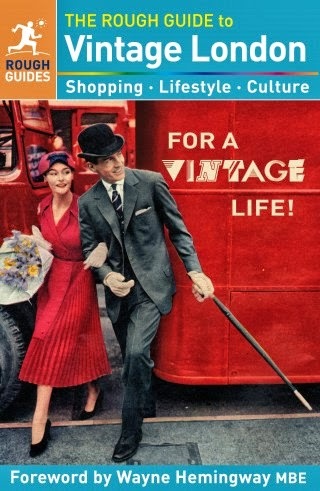 I can't go into a charity shop without coming out with a book! Oh dear I just love that blouse!!!! great finds, especially the books are great buys! Love the animal print blouse! I had a big clearout and promptly re-stocked in the same shops I donated to. Doh. Oooh, that leopard print blouse is delicious... I love it. I've given a lot away this week too... It's a good feeling to get rid of some of the lesser worn stuff though isn't it? 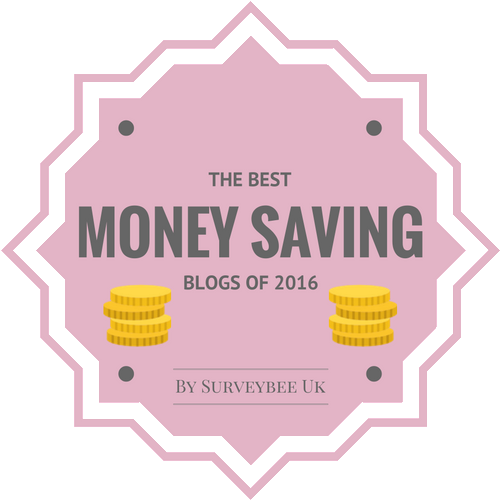 I am following you now, and putting you in my blogroll. shopping is such a hassle some times, but i usually like the end result. i think that leopard print top will look fab on you! Just discovered your blog through the lovely Vix. And I adore that blouse! I nearly bought a Clockhouse one yesterday but turned my nose up at the £7 price tag. I dare say it didn't cost that in the 80s! Love the leopardprint blouse. Great price! Have a nice week. Ciao. A. Yes cold and horrid. Love the blouse!! great find, Sharon, well done! Particularly like the look of those two books. Dear Sharon, I love the blouse, you'll look fab in it and the books were a great buy. Hope you had a good weekend. The dreary weather seems to be back.